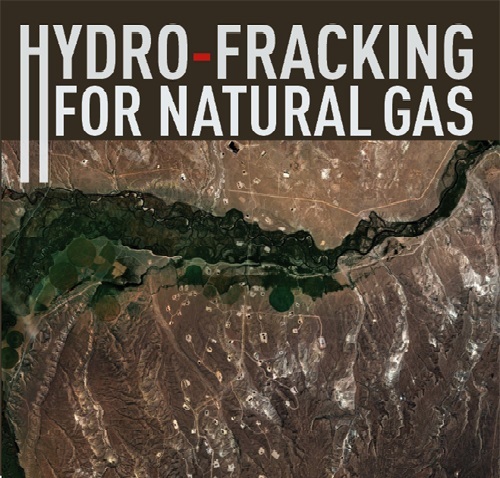 What is Hydro Fracking Technology ? Hydraulic fracturing, or "hydro-fracking," is a form of natural gas extraction in which a pressurized mix of water and other substances is injected into shale rock formations or coal beds to release trapped natural gas. A fluid mixture of water and chemicals is injected under high pressure deep underground, creating or widening fissures in the rock. Then, sand or another solid, often ceramic beads, is pumped in to keep the fissures propped open so that methane gas can escape from pores and fractures in the rock. Hydro-fracking wells can be drilled vertically, vertically and horizontally or directionally, i.e. on a slant. According to the U.S. Environmental Protection Agency (EPA), wells can be anywhere from 300 metres to 2.5 kilometres deep and extend for hundreds of metres horizontally from the well site. 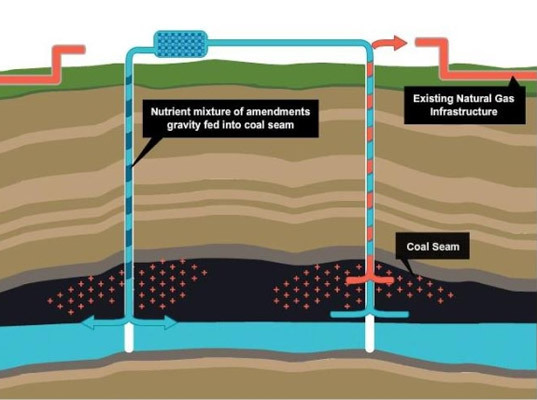 The EPA estimates one well in a coal bed can require anywhere from 200,000 litres to more than 1 million litres while a horizontal well in a shale formation can use between 7.5 million to 19 million litres of water. How is the water disposed of? The amount of water recovered after hydro-fracking varies widely depending on the drill site. The EPA estimates anywhere from 15 to 80 per cent of water is recovered. There are several ways of disposing of the water used in the process. It can be stored underground in impermeable injection wells that prevent it from leaking into the environment or in steel tanks or pits; recycled for use in another fracturing well; or treated and discharged back into the water supply. Because of its high salt content, the waste water is often also bought by municipalities for use in de-icing and dust suppression on roads. Although the fluid used in fracking is mostly water, some acids, emulsifiers and other chemicals are added to make the water more viscous and effective at fracturing the rock. These include guar gum, boron, zirconium, titanium, iron and polyacrylamide. Aside from such additives, the process of fracking also releases naturally occurring salts, metals, radioactive elements like barium and strontium and carcinogens like benzene. Water use: the process uses large amounts of fresh or potable water. Waste disposal: space is needed to store the waste water safely; sometimes, this involves clearing trees or disrupting habitats. The waste water must be treated at facilities that critics say are not always equipped to remove the contaminants particular to hydro-fracking. Contamination:the fear is that the chemicals used and released during fracking contaminate drinking- and groundwater � either during the process itself or through the waste water that is recycled and used afterward. The substances released along with the natural gas can continuing leaking from the well for decades after the extraction process. Air pollution: some of the methane gas being extracted during fracking escapes or is vented at the well head during the process and contributes to greenhouse gas emissions. In addition, some people living near fracking wells have complained of noxious fumes that they say cause headaches, nausea and other symptoms and that they attribute to some of the substances released during fracking, such as benzene and toluene. The New York Times reported that parts of Texas where hydro-fracking is common have seen higher rates of asthma although these could not be directly attributed to the industry as the areas had high air pollution generally.